The average price for this game in the past 6 months is $22.99. The game first became 50% off on Nov 15, 2016 at . Lowest historic price was $16.99 on Feb 17, 2018 at DLGamer. Guild Wars 2 has hit a new historic low price of $18 (as have its latest expansion Path of Fire for 13% off). If you're interested in a casual, low-stress MMO during Winter Break - we honestly think you'll get your money's worth with Guild Wars 2. It's a new low by $1 this week on Guild Wars 2: Heart Of Thorns at DLGamer. The France-based digital retailer has a pretty solid $10 discount on the game. Oddly some retailers, like the Humble Store, are still charging the old $50 list price for this title. Most have been $30 since the MSRP dropped earlier this spring. Another new historic low price on Guild Wars 2: Heart of Thorns. 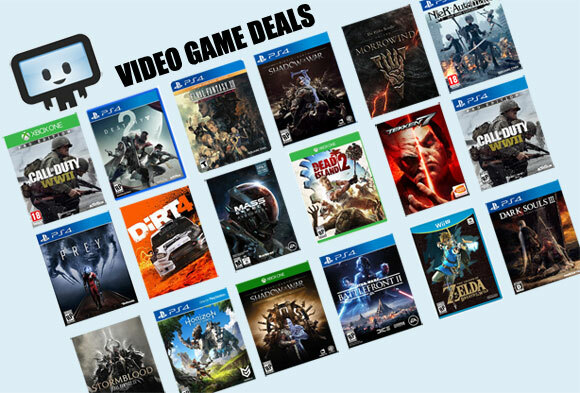 With the list price drop from $50 to $30 in recent time, DLGamer has further slashed list price by another 30% off to only $20.99. If you think you'll enjoy a commitment-free MMO, we think you'll find Guild Wars 2 to be a pleasant surprise. Guild Wars 2: Heart Of Thorns a buck cheaper at DLGamer today with a 20% drop to $23.99. Historic low price for the game that just this week had its MSRP drop from $50 to $30. Now even cheaper for one of the more popular paid MMO still on the market. This week Arena net has dropped the price on Guild Wars 2: Heart Of Thorns from $50 to $30. The savings is even better at the PC gaming retailer DLGamer who has an additional $5 discount effectively tying the best price ever for Heart of Thorns. The average price for this game in the past 6 months is $30.66. Lowest historic price was $24.99 on Oct 26, 2018 at ArenaNet. Missed the 50% off Guild Wars 2 deal earlier this month? It's back again for Black Friday. Grab the Heart of Thorns and Path of Fire Standard Collection for only $25. That's tons of sweet PvE MMO gaming for one low price. The average price for this game in the past 6 months is $16.99. The game first became 50% off on Jun 19, 2018 at ArenaNet. Lowest historic price was $14.99 on Jun 19, 2018 at ArenaNet. Guild Wars 2 Path of Fire is once again on sale for 50% off, matching previous historic low price. This offer is limited time straight from ArenaNet's Guild Wars 2 store. The deal also applies to the Deluxe Edition of the game. If you're planning to revisit GW2 with the latest expansion, this is a cheap way to go. If you're new to Guild Wars 2, grab the Standard Collection with Hearts of Thorns and Path of Fire and you'll receive access to everything for only $25. The latest Guild Wars 2 expansion Path of Fire is now at a new historic low by 50% off at GuildWars's store. This is a great deal for anyone that hasn't picked up the latest content and given core game is free, this adds loads of additional gameplay for only $15. Heart of Thorns + Path of Fire combo is also on sale for $25. If you've never tried Guild Wars 2, now is as good of a time as any to give the game a try. As the base core game is basically free to play (with some restriction), buying the latest Path of Fire expansion opens up tons of content to your MMO craving. Perfect for those who wants to revisit GW2, or for those that have been playing through Heart of Thorns (the first expansion). New historic low price. ArenaNet game code. Released today, Guild Wars 2: Path of Fire is the second expansion to the popular MMORPG. If you've been enjoying Guild Wars 2 since its release years ago - the latest expansion is undoubtedly on your radar. Both standard and deluxe are about 10% off at GMG. The average price for this game in the past 6 months is $27.49. The game first became 50% off on Jun 19, 2018 at ArenaNet. Lowest historic price was $27.49 on Jan 7, 2019 at ArenaNet. The average price for this game since released is $30.84. The game first became 50% off on Apr 4, 2014 at . Lowest historic price was $10 on Jan 24, 2015 at . Guild Wars 2: Heroic Edition hits $15.99 today in GMG's VIP gaming sale today dropping a further $4 from the drop we saw earlier this week. It may still be a better idea to pre-order the Heart of Thrones expansion (which gets you a free copy of GW2) but HOT hasn't announced its release date yet, and this will at least get you in the game right away cheaply. Best place right now to pick up a copy of Guild Wars 2 is GMG in their VIP sale. After hitting "Get Deal" you'll need to either login or create an account at GMG to see the discount price. Once you're logged in you'll be redirected to the VIP sale page with GW2 all the way at the bottom. Guild Wars 2 is on sale again for $10 flat at ArenaNet. Probably one of the most chill MMO you can take with minimum grind (till you max out your level, wherein end-game gears are kind of a grind). Worth a visit if you're looking for a good MMO experience with a few friends without having to sweat about monthly subscription fee. You honestly can't go wrong with Guild Wars 2 at $10. No monthly subscription fee and a decent MMORPG with balanced level of grind. There are some flaws to the game in terms of PvP but its still an excellent title to check out at this price - especially with some friends. Guild Wars 2 drops to lowest ever price of $10 for the Heroic Edition and $15 for the Digital Deluxe. Both prices are shown at checkout. 1st expansion announced. Wife and I both sunk a good number of hours (uh months) on the game. Its a good thing we never joined a guild else someone will have to take care of the kiddo. For ya'll looking for the next MMO fix, Guild Wars 2 core/base game is now completely free to play with minimal restriction (2 character slot plus chat restriction that opens up as you level). Probably one of the best no-stress, less-grind (lower level) MMO to checkout. Guild Wars 2 is one of those holy grail of casual MMO experience. You don't need to stress over a monthly payment to grind to the maximum level, nor do you need to shell out thousands of dollars in cash just to get good gears. While the game has been released for quite awhile now, the game has been maturing quite a bit. End-game content, while a bit controversial at times (supposedly you shouldn't have to grind for top-end gears but there's still a bit of that). Regardless of how you feel, I personally think Guild Wars 2 is one of the more interesting MMOs to come out, and can be a fun experience especially if you have a few close friends to play-through with. The average price for this game since released is $43.28. The game first became 50% off on Dec 25, 2012 at Amazon. Lowest historic price was $19.99 on Aug 24, 2015 at Green Man Gaming. Guild Wars 2 on the cheap at GameFly. Today they dropped the price to $24 - a new low by $6. This is not the Heroic Edition, so you don't get the extra few goodies like the Suit of Legacy Armor... but the Heroic Edition costs $49.99, or $26 more. The coupon code for this doesn't seem to be working right now. Is there something special I should be doing? Hey Amber, try again now. We've updated the retailer to Gamefly since the coupon at GMG doesn't work on Guild Wars 2 for whatever reason. Near lowest ever price on Guild Wars 2 from Amazon during their Digital Summer Sale. Its not the cheapest ever, but this is much cheaper than usual price of $45 to $50 (full price). Next best is GMG for $38. greenmangaming says that they are out of stock. Unless there is something wrong on my end. Nope, they're out. As funny as running out of a download seems, they get activation codes in batch, and so once a certain number of people download, they have to buy a new batch. Thanks for the heads up! Summons Mistfire Wolf Elite Skill: This unique elite skill allows the player to summon a temporary Mistfire Wolf pet for use in combat. Rytlock Miniature: This rare miniature is a perfect replica of Rytlock Brimstone and will accompany your character on all of their adventures throughout Tyria. Golem Banker:Your very own golem banker at your command for 5 days! This mechanical man-servant will grant you access to your account storage from anywhere in the world. Chalice of Glory: Earn some extra Glory with this one- time use chalice. Use Glory to unlock rewards in PvP as well as compare your progress against other players. Tome of Influence: Give your guild a one-tme boost of influence. Useful for unlocking guild vaults, emblems and other items for your guild. The average price for this game since released is $54.62. The game first became 50% off on Dec 30, 2013 at GameFly. Lowest historic price was $15 on Jan 24, 2015 at . Actually, GMG had the standard edition in stock too for $45 and they sold out within 3-4 hours. GMG finally has GW2 back in stock (after Anet lift the "embargo"), but for whatever reason only the digital deluxe edition is available. But the good news is the 25% site-wide coupon works and you can now get the digital deluxe edition at cheapest ever price (even cheaper than GameFly's). how do you use a gamefly coupon? you have to go all the way to the checkout process (after signing up for an account) and before you submit your order, you should see a box to put the coupon code. Order not completing... Thanks GameFly. GameFly no longer has the standard digital edition of GW2 available (yep, the digital copy "sold out") but you can still get the more bling bling Deluxe Edition for $64 after coupon. This puppy includes 3 day head start (which starts today on Aug 25!) along with bonus items, plus plenty of goodies from the deluxe edition including more skills and vanity bonuses.